The first and last Wednesdays of each month Bible Study is held at Papa’s Place at 6:30 pm. On the second Wednesday of each month we meet at the Family Center at Berkshire Place to feed the body and spirit by serving a “Family Style Meal from 5:00-7:00 pm. On the third Wednesday of each month we meet at the Family Center at Berkshire Place for Bible Study at 6:30 pm. This is our main service for each week. We meet from 7:00-8:00 AM for Prayer. Our Worship Service begins promptly at 8:00 AM. Our Service is a Holy Spirit, Word driven service filled with the Word, Praise, and Worship. The Word is delivered by Apostle Glenda Gleaves-Sutton, one of the ministers from the fellowship, or any number of guest speakers. We follow the leading of the Holy Spirit so you never know what’s going to happen at Family Affair! Currently we are meeting at 1600 Riverside Drive, Nashville, TN 37216. We also at different times hold Worship Services and fellowship events at Papa’s Place located in beautiful Goodlettesville, TN. Papa’s Place sits on 20.25 acres of pristine land and also serves as to provide ministers and families a place of Rest, Relaxation, Restoration and Healing. 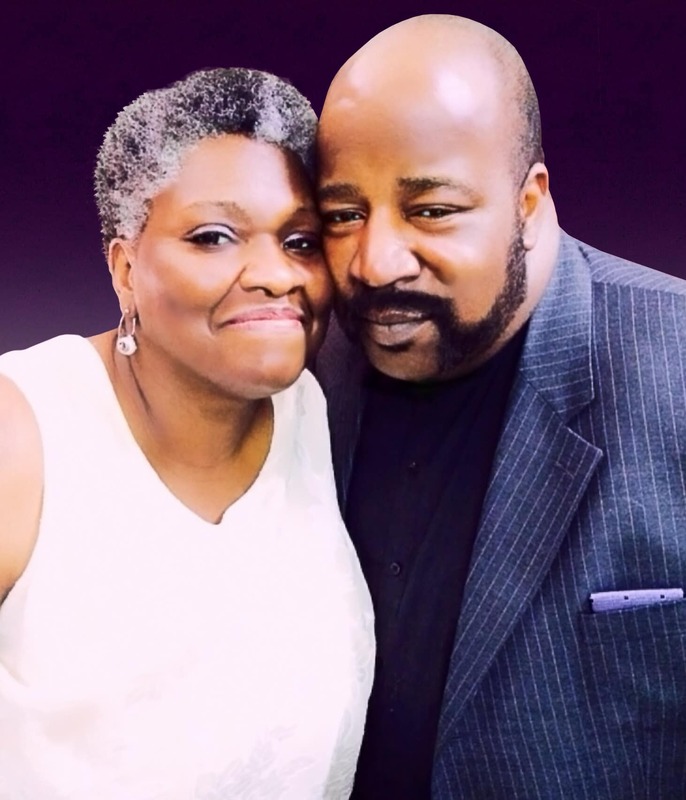 Dair and Glenda Sutton are the Senior Pastors of Family Affair Ministries Fellowship, located on the east side of Nashville, TN. The Suttons have two sons: Dale, who went home to be with the Lord in September 2018, and Sean. They also have been blessed with five wonderful grandchildren. In the more than 20 years of ministry the Suttons have been a force of change while serving God in East Nashville. The evidence of the call on their lives has been seen in many ways. Providing job placement and job training to the community through a variety of programs including ServSafe. Pastor Glenda Gleaves Sutton, like every born again believer, has a date of birth and a date of rebirth known as the born again experience. From the time of being born again, she has set herself to seek first the Kingdom of God and His righteousness, so that all the rest could be added at the appointed time (Matthew 6:33). And she did. She now serves as Founder and Senior Pastor of Family Affair Ministries Fellowship, and Founder and CEO of Family Affair Ministries, Inc., a 501c3 non-profit organization located in East Nashville, TN, alongside her husband Dair Sutton. In 1988, while working in Avon Park, Florida as an Air Traffic Controller, Glenda began to feel compelled to teach others the simplicity of God’s love. Her then pastor, Elder Clarence Black of Antioch Temple Church of God in Christ (also in Avon Park, FL) confirmed this desire she felt to indeed be lead by the prompting of the Holy Spirit of God. Glenda’s desire for God’s righteous was more than a mere “feeling” and exploded from every area of her life. He, nor anyone she encountered, could deny the calling of God on her life. Elder Black, seeing the Fruit of the Spirit taking very deep root in Glenda, then licensed her to preach the Gospel of Jesus Christ. He afterward instructed her to prepare for a journey that would change life as she knew it forever – and change it did. She and her two boys, Dale age 8 and Sean age 2, left all of the comforts of a place called home to pursue a place called grace. Asked of God to trust Him, they boarded a Greyhound bus after giving away all of their belongings except for 7 days’ worth of clothing. Asked of God to seek Him in the Nashville Women’s Rescue Mission (homeless shelter), she and her sons submitted, living there for 21 days. Asked of God to be his hands extended in the public housing arena, she did; she and her sons lived in James Cayce Homes for 10 years. The ministry of reaching and teaching the poor began on the day that they moved in, May 15, 1989, Apostle Glenda’s 27th birthday. Ten years into the call, she met and married her husband Dair Sutton, who came and caught the vision and walked with her. God raised a team of awesome men and women who also caught the vision and helped her walk it out. Glenda has always believed God for the fulfillment of His promises, and all the promises of God are “Yes and Amen” (2 Corinthians 1:20). Glenda is a true servant of God. Her soul’s desire is to be used for His service while remaining as clay in the master potter’s hands.